Designed in the middle of last century to "foster dialogue between Europe and North America," the so-called decision makers of the world are to rub shoulders again in an annual, secretive bash of the Bilderberg conference - and at a time of discord between Europe and the US. 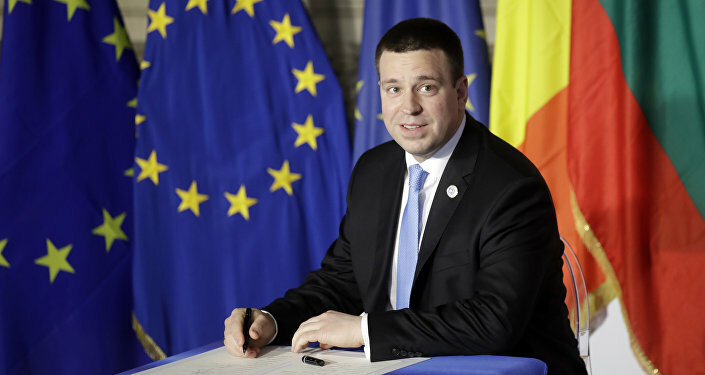 Among the latest points of disagreement between Washington and Brussels are the introduction of tariffs by the US on steel imports and 10 percent on aluminum imports from the EU, difference of opinions on the move of the US embassy from Tel Aviv to Jerusalem, and the American withdrawal from the nuclear deal with Iran. The relations between the US, the UK and largely the EU are going through a rough patch, and the intimate setting for politicians, businessmen and academics might just serve the initial purpose of the Bilderberg. 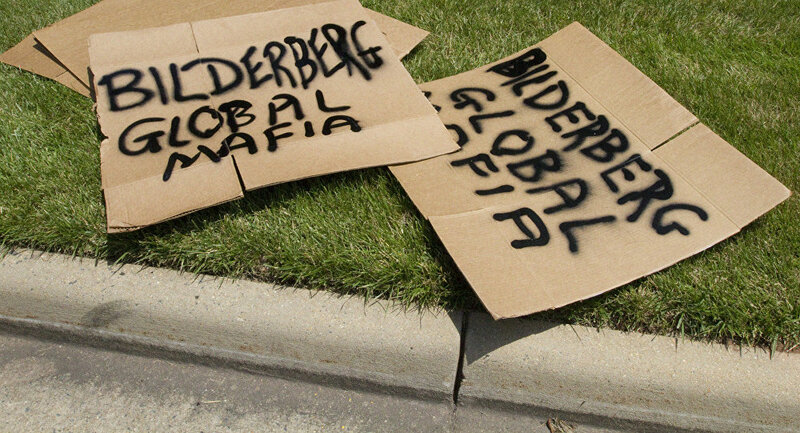 According to a statement released by the Bilderberg Meetings official website, free trade, US world leadership, as well as Saudi Arabia and Iran are on the list of the key discussion topics. Other subjects to be debated by over 120 participants from 23 countries include Russia, populism in Europe, Artificial Intelligence, quantum computing, the US before midterms, the "post-truth" world, the future of work, the inequality challenge, and current events. 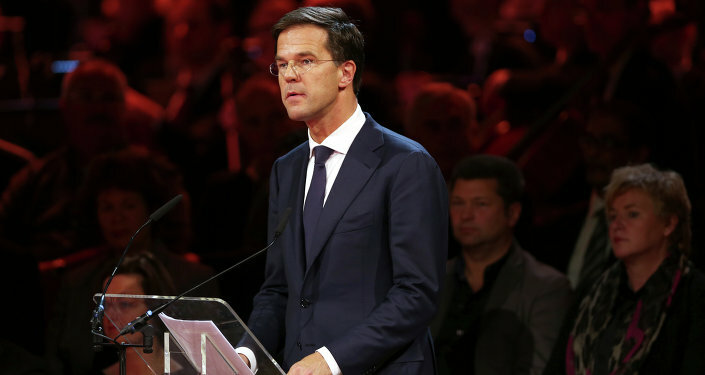 The guest list of the conference lists Prime Ministers of Serbia, Belgium, Estonia, the Netherlands, former and current US government officials, Governor of Bank of England, NATO Secretary General and a number of high-profile academics. The Governor of the Bank of England, Mark Carney, speaks during the quarterly Inflation Report press conference in central London, February 4, 2016. 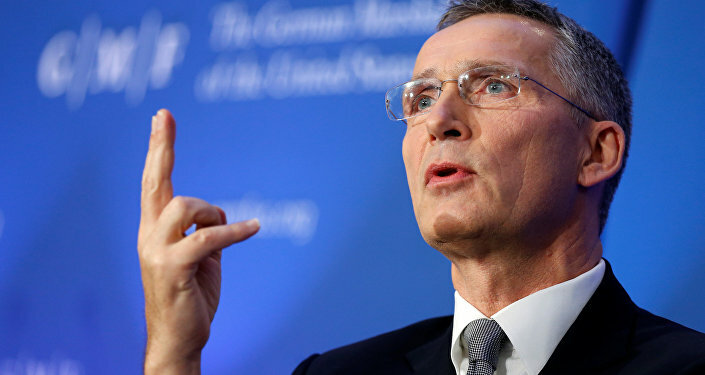 NATO Secretary-General Jens Stoltenberg delivers a speech on European defence and transatlantic security at the German Marshall Fund think-tank in Brussels, Belgium, November 18, 2016. Bilderberg conferences are described as "private" and no minutes are taken, no report is written, no resolutions are proposed, no votes are taken, and no policy statements are issued. The secrecy of the meeting has annually prompted active protests, with activists suggesting the group grooms future political leaders behind closed doors, makes influential business deals off record and is unavailable for media and public scrutiny. 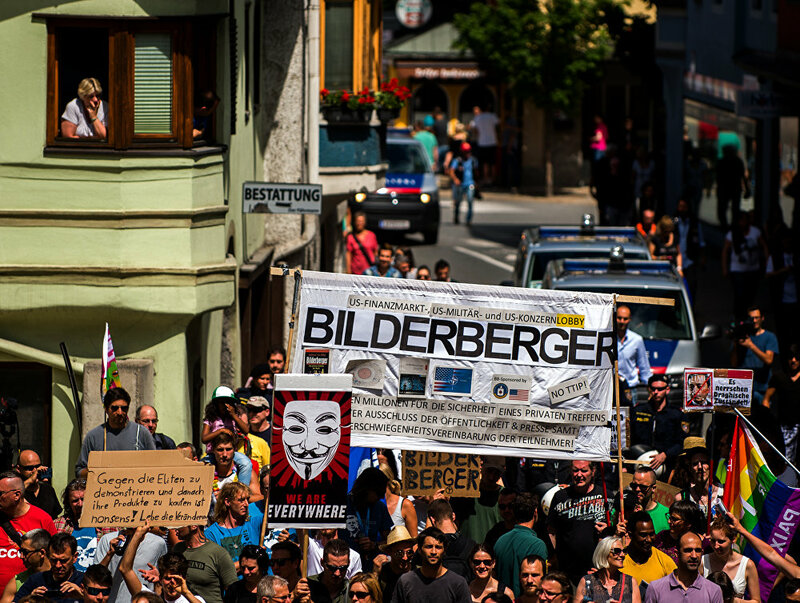 Protesters take part in a demonstration against the Bilderberg conference in Telfs, Austria, on June 13, 2015. The 2018 Bilderberg Meeting is taking place in Turin, Italy on 7-10 June.